Every watt counts. 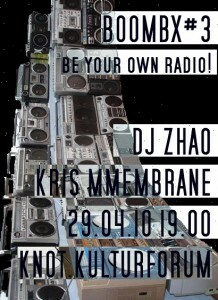 You bring your radio/boombox/receiver/xpod and tune into the local Mini FM to become part of the sound system! bashment, post-dubstep, funky house and more.